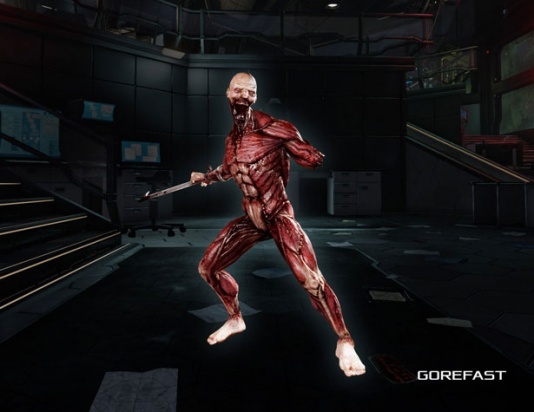 The Gorefast is a common specimen in Killing Floor 2. It is classified as a lesser enemy, and therefore, cannon fodder. 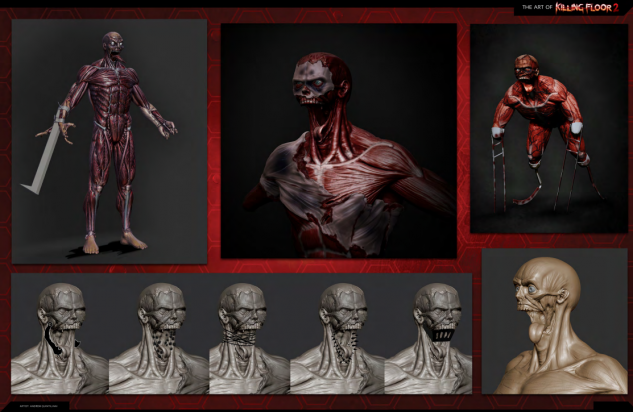 Gorefasts appear as crimson skinned, bald humanoids. They lack a lower jaw, tongue and left arm. They have a steel blade jammed in place of their right arm, which they use to cut down prey. While Gorefasts are classified as a lesser ZED, do not let their status as a lesser ZED fool you, as they are extremely dangerous and quick to anger. They are also the most durable of the lesser ZEDs, able to take a deceptive amount of punishment before going down. Gorefasts move slowly when docile, and sprint when enraged. Gorefasts will only begin sprinting upon getting close (8m) to players. They do not sprint on sight despite having 100% sprint chance. Gorefasts will sprint once they are shot. Once enraged, Gorefasts will never stop sprinting until they are killed. Should sprint when damaged OR should sprint whenever get closer than 8 meters (800 units) to player AND should not stop sprinting afterwards. Should sprint when frustrated. Should not sprint when has no LOS on enemy. 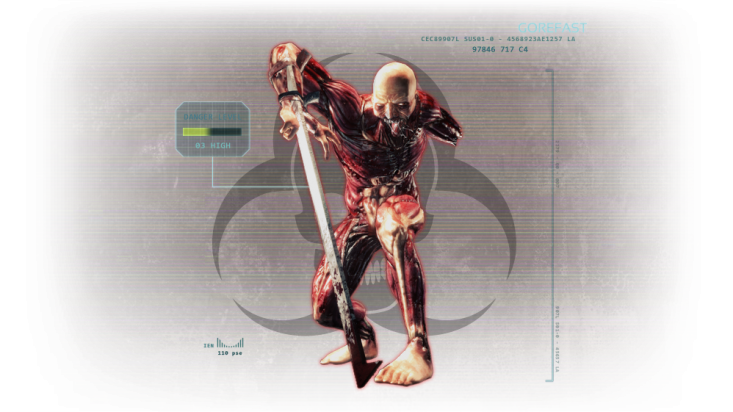 Gorefasts have a large range of resistances to non-ballistic weaponry. Gorefasts are vulnerable to rifles and assault rifles, but are most notably extremely vulnerable to shotguns. Gorefasts only have one weak spot, which is the head. Their bladed arm deflects attacks. Gorefiend's blade is slightly less resistant and takes 20% of all incoming damage. The Gorefast is a predictable, melee-only ZED. Upon spawning, it will walk towards the nearest player. Upon getting close to their target, they will immediately begin sprinting, to get into melee range to attack. While sprinting, Gorefasts can either hunch their backs forward to lower their heads or brandish their bladed arm in front or above their heads to block gunfire, though unintentionally. Gorefasts will sprint immediately upon getting shot. Gorefasts swing their bladed arm with full body pivots, causing their heads to sway back and forth, making it difficult to hit once it starts attacking. Gorefasts have the ability to block gunfire. When shot at, they have a chance to hold their bladed arms in front of their face, blocking their head with the blade. When blocking, Gorefasts take 20% less damage, and incapacitating effects are 80% less effective. On Suicidal and Hell On Earth, Gorefasts always block upon getting shot. 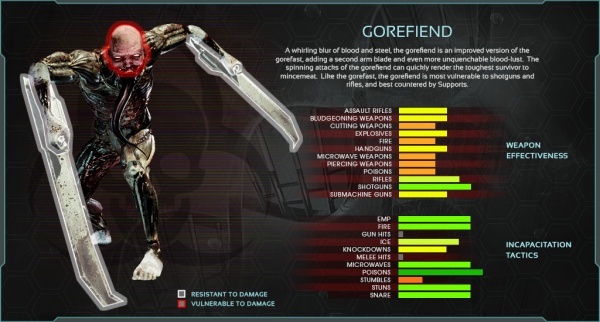 Gorefasts are able to block while running on Suicidal and Hell On Earth, which means upon shooting a Gorefast, there is a high chance they will sprint at the offending player with the bladed arm raised to their face. Gorefasts only spawn individually or in duos in early waves, but they spawn in groups of 4 or more frequently in later waves. On Suicidal and Hell On Earth, Gorefasts gain new attack animations that, unlike other ZEDs, are not determined by whether they are enraged or not, but rather, difficulty level. On Suicidal and Hell On Earth, Gorefasts can perform a low, sweeping slash. They are also able to sprint while attacking now, spinning their blades repeatedly and dealing multiple high damaging hits. Every Gorefast has a chance to spawn as a Gorefiend instead.The spawn odds are: Normal - 10%, Hard - 25%, Suicidal - 35%, Hell On Earth - 45%. 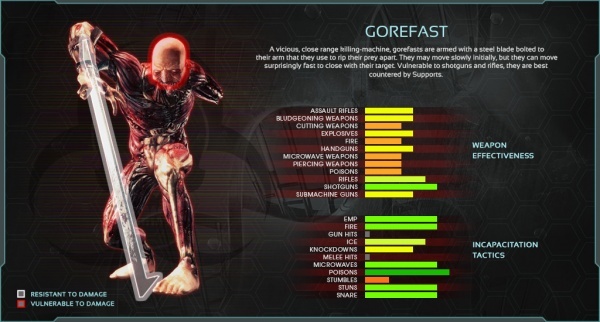 Unlike the Alpha Clot and the Crawler, the special variant of the Gorefast is an entirely new ZED with its own attack patterns and statistics, however its AI and behavior remain identical to a normal Gorefast. The Gorefiend appears as a dark-skinned Gorefast with visible blue veins that glow around their body, with a long tongue. 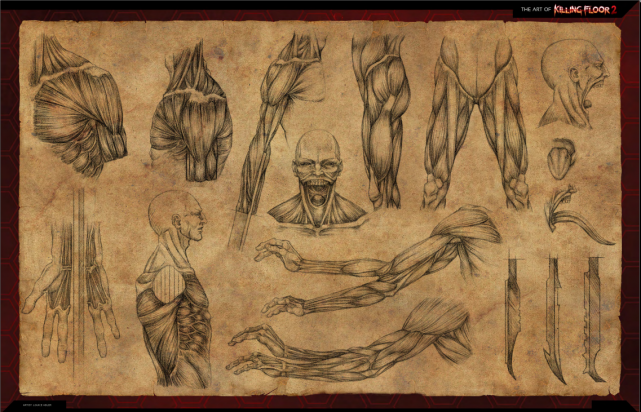 The most notable change is that Gorefiends possess 2 bladed arms instead of one. Gorefiends do significantly more damage than Gorefasts and possess an unblockable whirlwind spin attack which is devastating and can do upwards of a hundred damage if a player were to be hit by the entire duration of the whirlwind attack. Gorefiends have a different blocking animation where they cross their swords in front of their faces; this blocking animation is harder to shoot past and requires the player to aim for their throat. Crouching can make this trickshot easier. Chance to spawn as Gorefiend: Normal - 0, Hard - 0.05, Suicidal - 0.35, HOE - 0.45. (PvP) Rally boost: forces AI Gorefasts to sprint, players do x1.2 more damage. Damage to doors (possible values) = 30 / 40 (40 / 50 for Gorefiend). ZED mass = 65 (100 for Gorefiend). 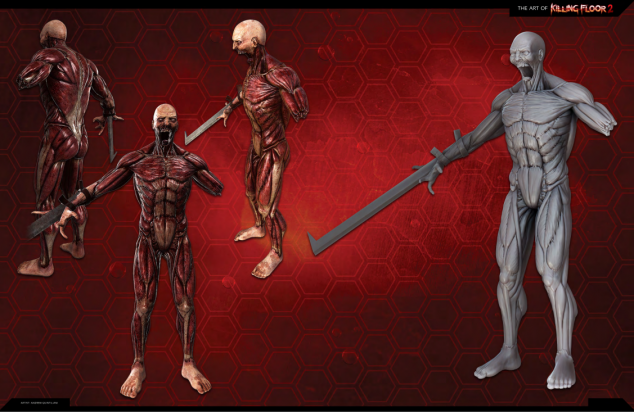 Unlike other ZEDs, headless attacks of Gorefast apply only 50% (x0.5) of the base melee damage to players. Gorefast has a chance to block upon taking damage or when being aimed at. Gorefast has a chance to evade certain damage sources. Chance to block after taking damage: Normal - 0.2, Hard - 0.5, Suicidal - 0.75, HOE - 0.85. Health loss percentage to trigger block: all difficulties - 0.1. Block chains (max): Normal, Hard, Suicidal - 4, HOE - 5. Block duration - 1s, cooldown - 1s. Despite its status as a lesser ZED, the Gorefast is extremely dangerous and should be treated as threats of the highest priority whenever they show up, arguably only outclassed by the large ZEDs. When Gorefasts begin blocking, it is possible to circumvent the block by adjusting one's aim to the upper left slightly. This way, you are still able to hit the head while it is blocking. Alternatively, just shoot at the body; do not shoot the bladed arm as it only takes 10% damage (20% for Gorefiend). Gorefasts should be taken out quickly with one good shot to the head. This is because shooting the body is horribly ammo inefficient as they have disproportionately high body health compared to head health. 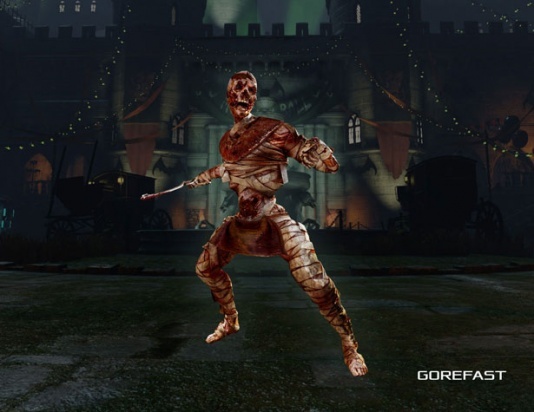 The first shot must be a killing blow as anything less will cause the Gorefast to immediately rage and sprint at the nearest player, though this is difficult given their higher head health compared to the other lesser ZEDs. Only shoot them in the body if you absolutely have to (if you cannot hit the head while it is blocking, or when surrounded). Gorefasts are extremely weak to Shotguns, making the Support Specialist the best perk for exterminating Gorefasts. They do not need to aim for the head to take out Gorefasts due to the high Shotgun damage multiplier, and can take out multiple Gorefasts with penetrating headshots or bodyshots quickly. Gorefasts are also weak to assault rifles, and rifles. This allows ballistic classes like the Commando and Sharpshooter to take them out quickly and efficiently from a distance before they can get into range to sprint and cause any damage. Respect their damage output on Suicidal and Hell On Earth difficulty as they can quickly cut down players in groups. Even on lower difficulties, Being surrounded by Gorefasts almost always guarantees death, try not to get yourself into such a situation.